It's been a week since a winged interloper built a nest on a string of lights in our backyard. When she briefly flew off, I grabbed my camera to see what was inside. Two eggs. Oh man. 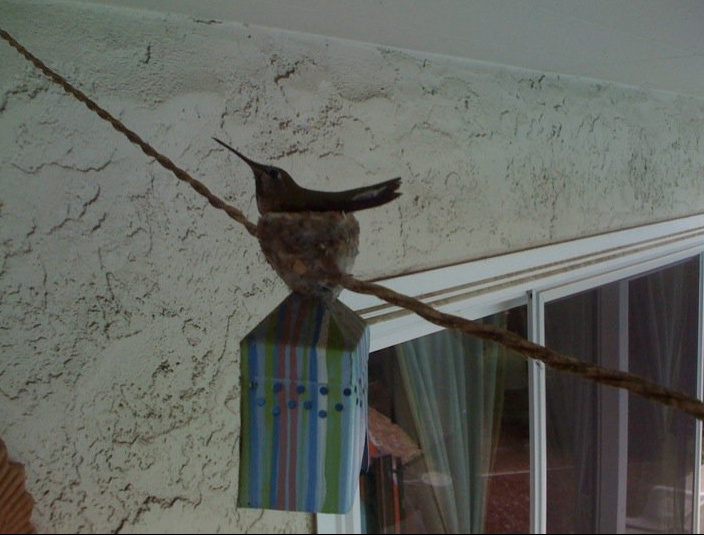 I've since become embarrassingly invested in the goings on our avian decorative light surfers -- checking out hummingbird websites, watching nesting videos on YouTube, buying a feeder. 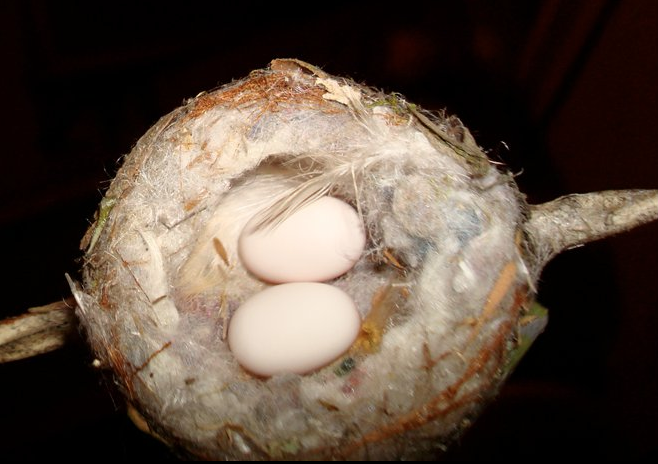 It's tapping into all those feelings of protection and stoking the anticipation of seeing two baby hummingbirds chowing down on pre-digested bugs before they split the coop. It's like we're expecting again. Awesome! There was a big temptation to involve our 5-year-old son but I backed off. I'm hesitant to give Mace the full program to this momentous occasion. What if the mother abandons the chicks? What if the baby birds, you know, DIE. It's a bit early to get into the Circle of Life thing, right? A friend recently had the luck of a nesting bird perched outside his window. He set up a webcam, got the kids stoked, then when the time came for the eggs to hatch they were immediately swooped on by a hawk. The webcam caught the action. The kids were inconsolable. So we're keeping it chill for now. Mace keeps us aware of the bird's whereabouts. He knows there are two eggs in there. 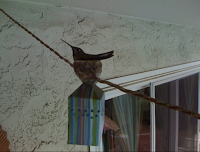 Aren't hummingbird nests supposed to be good luck in some Asian cultures? Let's hope so. P.S. On a soccer note, Maceo was invited to join a local U-6 team that caters to French-speaking families. We speak no French. This is going to be interesting. I can't wait for the end-of-season potluck.